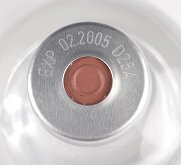 The medical sector uses laser marking to provide reliability and precision when marking medical supplies such as hearing aids, implants, instruments and medicines. This has the advantages of accuracy and traceability compared with traditional medical marking using ink or labels. The laser marks may be serial numbers, bar codes, company logos and any other codes. These can be etched on a large variety of materials such as metals, ceramics, glass, or plastics. Many medical devices are too small to accommodate a bar code or serial number. The best mark is an instantly recognisable 2-D or 3-D code. Most of the marking can be achieved using YAG lasers, but high-power CO2 lasers are best for marking plastic materials. TLM Laser provides a sterile environment when marking medical supplies. The process does not require any contact with small and delicate devices and there is no waste afterwards. It ensures that the mark does not distort the device but still remains indelible. The laser marking has to withstand high temperatures in an autoclave and passivation, the anti-corrosion layer on the surface of the medical device. Laser marked codes or information can be made in various shades and on different surface textures on the device. It can etch gradation marks and directions for use on medical instruments after the passivation process. There is no need for extra materials or chemicals on plated metal, painted or anodized surfaces. Marks on medical implants, such as pacemakers and orthopaedic implants, often have to be made on curved surfaces but have to be bold and clear so that a surgeon in an operating theatre can choose an implant of the right size. For more information see Medical Marking.